. يقدم Northcote Motor Lodge خدمات لا غبار عليها وكل أشكال اللياقة وحسن الضيافة اللازمة لإسعاد ضيوفه. يقدم الفندق فرصة للاستمتاع بشريحة واسعة من الخدمات بما فيها: واي فاي مجاني في جميع الغرف, مرافق مخصصة لذوي الاحتياجات الخاصة, تخزين الأمتعة, واي فاي في المناطق العامة, صف السيارات . استمتع بوسائل الراحة الراقية في الغرف أثناء إقامتك هنا. بعض الغرف تتضمن تلفزيون بشاشة مسطحة, اتصال لاسلكي بالإنترنت, غرف لغير المدخنين, تدفئة, شرفة/ تراس لمساعدتك على استعادة طاقتك بعد يوم طويل. سواء كنت من محبي الرياضة أو كنت تتطلع لتفريغ عناء نهار صعب، ستجد خدمات ذات مستوى عالي بانتظارك كمثل مسار جولف - ضمن 3 كم, حديقة. إن Northcote Motor Lodge هو خيار ذكي بالنسبة للمسافرين إلى كرايستشرش، بما يوفره من إقامة هادئة ومرحة. The place was clean and with sufficient facilities. Small touches ....potato chips and skin lotion was nice. The owners were very helpful and make our stay a lovely one. 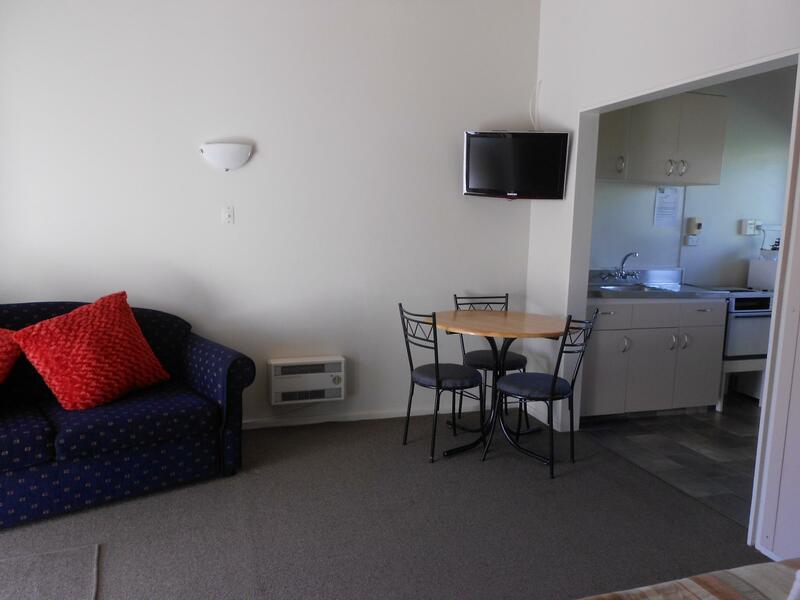 Yes, a very favourable stay in a very roomy, comfortable and nicely located motel. We would have not faulted the motel had it not been for the rude encounter with the husband, Mike who gave us a lecture and long scolding after I sent an email regarding the lack of cleanliness in our room!We came back to our room after a very long day drive and found that our bed was unmade, room uncleaned and shampoo,soap etc unreplenish. Wifi was so bad,we were unable to use at all! After sending an email+photos,the owners came charging to our room & MIKE scolded us about how cheap the hotel and said so many harsh and insulting words! Firstly we didnt ask for upgrade and surely basic cleanliness and tidying is basic!If the proprietors are unable to deal with feedback,then hotel business is not for them!We do not think they will survive if this is the kind of service that will be provided to customers who give constructive criticism! If Mike will continue with his ill-tempered and ill-mannered way of dealing with feedbacks, I doubt it they will succeed in their livelihood! Clean, convenient and great location. Friendly and helpful staff. Definitely will stay again. 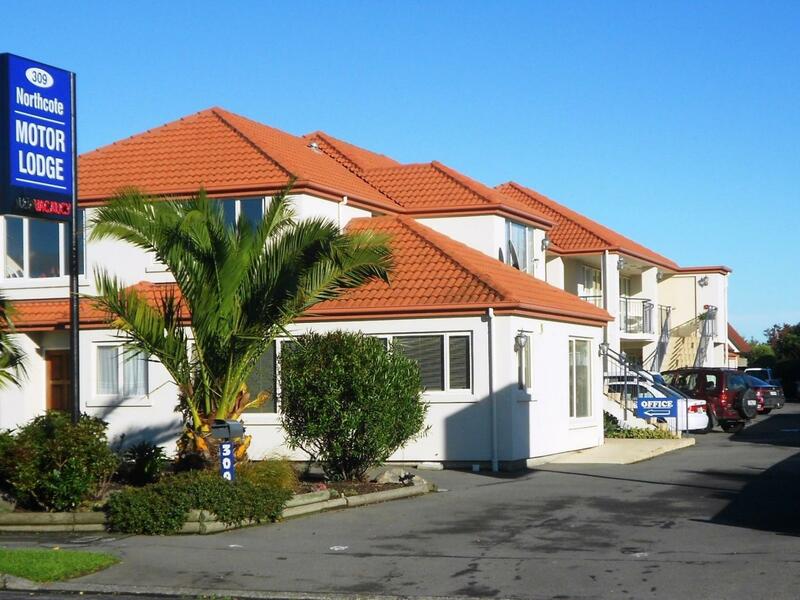 We stayed at Northcote at the beginning and end of our trip to NZ - total of 7 nights. So pleased with the friendliness and helpfulness of Mike and Elsa to make our stay enjoyable. The trampoline and swings in the back were wonderful for our kids to let off some energy. We stayed in the one bedroom standard and deluxe units. The deluxe has a full kitchen and room to sleep 6 people. Clean and close to the bus stop and Northlands mall. If you are staying for a while and will be using the bus, get a metrocard at the mall and it will cost less to use the bus. Highly recommended for a family stay. Very pleasant stay, althoug I was concerned about the busy road outside, our unit was very quiet. Enjoyed our stay. Thought that the kitchen could be improved with another couple of plugs, and the bathroom could be improved with a shelf for holding toiletries etc. Warm, nice service and excellent english! Great service and friendly to deal with but limited parking for guests. 3km to Main North rd shopping mall. we live here for a night. very tidy and big room with tv and kitchen ware. very helpful from the owners. near to supermarket and fuel stations. its near to airport which suits our needs. the owners introduce us to a very nice and delicious restuarant which make us so impressive. Don't expect to much. It was a basic motel for you to stay a night. No breakfast, no free wifi but free parking. Location good to shop in supermarket and refill petrol if you drive. I can't find air cond in room, no issue for winter time, how about summary time.